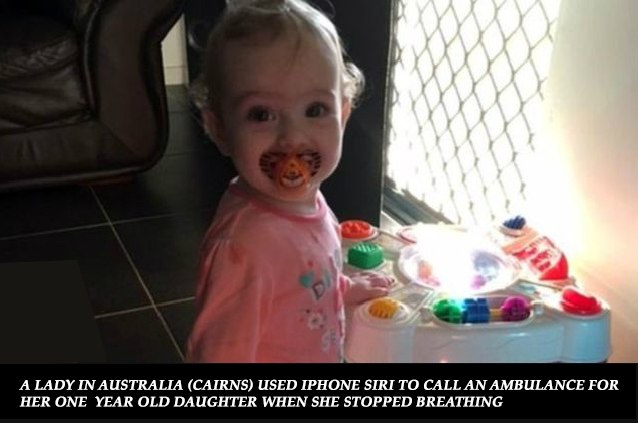 A lady in Australia (Cairns) used Iphone Siri to call an ambulance for her one year old daughter when she stopped breathing. Stacey Gleeson grabbed her iPhone and rushed to her daughter’s room but dropped the phone on the way in panic. She shouted at the phone to activate Siri and told it to get the emergency helpline on the speaker. She told Siri (A feature of Iphone) to call an ambulance right away on the speakerphone and was able to talk with the emergency services on the speaker as she was doing CPR to her daughter. The baby started breathing again after getting immediate attention from the mother and the ambulance also arrived at the same time. There is a similar APP in Pakistan called Konbola, an emergency alert app for Android which lets you reach out to your dearest ones within 3 clicks of the power button (No Dialing). Technology can save a human life. Next article Millions of stolen Twitter logins are on SALE!